With a population of over 80,000, Nuneaton is the largest town in Warwickshire. Surrounded by countryside, there is a wide range of property in Nuneaton ranging from central terraces to large detached homes on the outskirts of town. At My Home Move Conveyancing we continue to improve our knowledge and understanding of local property markets, allowing us to offer our clients in Nuneaton a specialist, fixed fee conveyancing service. You must instruct a lawyer to carry out the legal work on your behalf when buying or selling property in Nuneaton. 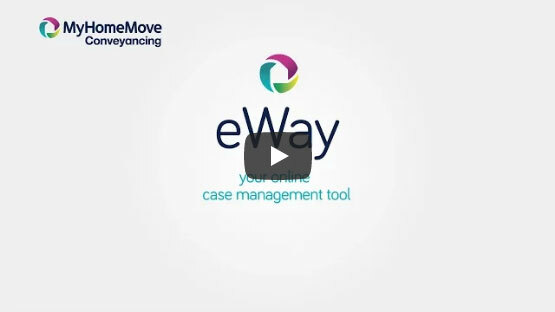 In choosing My Home Move Conveyancing to be your Nuneaton conveyancers you’ll reap the benefits of our award winning customer service, innovative use of technology and intimate knowledge of the local market. We offer a conveyancing service that is fixed fee, meaning there are no extra hidden costs to worry about. If you don’t end up moving for some reason, you won’t have to pay us a penny in legal costs. We assign each of our clients a dedicated conveyancer who will look after your case from start to finish, providing you with a consistent point of contact and regular updates on your progress. At My Home Move Conveyancing we are proud to supply our conveyancing services in Nuneaton to customers in Nuneaton itself as well as places in the surrounding area such as Bedworth and Hinckley. The average house price in Warwickshire is £188,364, while in Nuneaton over the past 12 months the overall average sale price of properties was a little less than this figure at £163,062. Terraced properties were involved in the majority of sales, going for an average of £112,624. Detached and semi-detached properties also sold well, fetching an average of £241,766 and £150,538 respectively, while flats went for £80,679. Much of Nuneaton grew up around a 12th century Benedictine nunnery, from which the town gained its name. The area saw plenty of growth from the 17th century thanks to its location at the heart of the Warwickshire coalfields, while the Industrial Revolution brought textile manufacture to the town. Nowadays Nuneaton is a popular commuter town for nearby Coventry, which lies less than 10 miles to the south, and Birmingham, which is 20 miles west. There are strong transport links to support this commuter trend, with direct train services to Coventry taking just over 20 minutes; Birmingham New Street can be reached in under half an hour. The M6 motorway passes just to the south of Nuneaton, linking the town to Birmingham, Manchester and Liverpool as it heads west, while to the east it runs to the M1 motorway - this heads north to Leicester and Leeds and south to London. Birmingham Airport is less than 20 miles away. Nuneaton has some excellent schools for families with children to consider, with choices at primary level including Milby Primary, St Margaret’s CofE and Congerstone Primary on Shackerstone Road. Secondary options include St Thomas More Catholic School and Sixth Form College, Oak Wood Secondary School and the Nuneaton Academy on Radnor Drive. All properties in Nuneaton will fall within one of the following council tax bands.